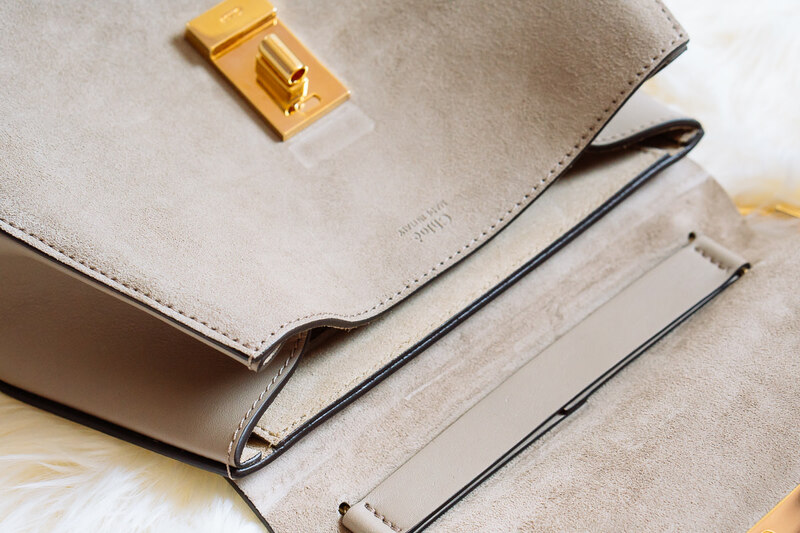 If you love handbags and fashion as much as we do, then you've probably heard a saying that goes something like this: "Nothing haunts us like the things we didn't buy." It's funny, but true, and I have a few of these ghosts. The first are two gorgeous dresses I fell deeply in love with at this tiny contemporary boutique in Paris when I was studying abroad, and the second is a Chloé Drew bag. 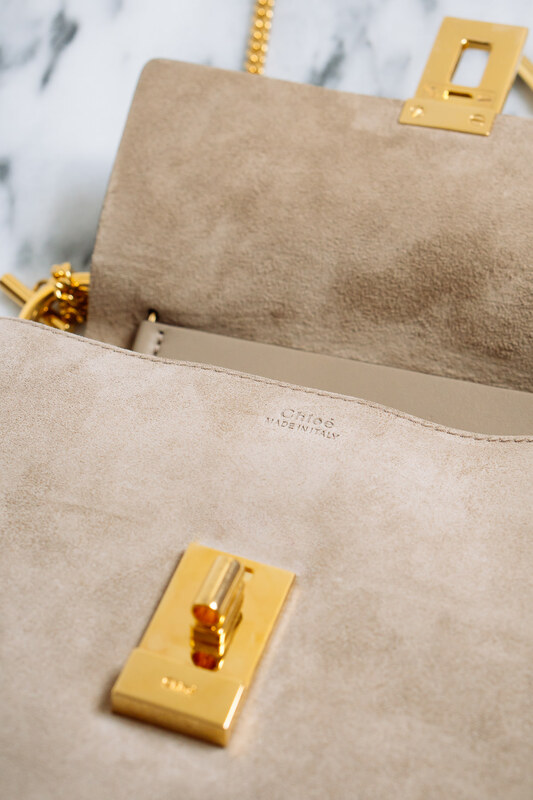 I had the perfect Drew bag in my cart last summer during Net-a-Porter's annual summer sale, and I just couldn't bring myself to commit at that second. When I went back a couple of days later the deal—and the bag—were a distant memory. Back when I interned at Chloé, the Drew was just making its big debut, and it's truly so much fun to see how much momentum it has gained and what a staple it is now among the Chloé line-up. I loved that bag before the rest of the world knew of its existence, and I still love that bag today! When I got the chance to get my sticky little fingers on a Drew Bag once again, I couldn't wait to take the little lady out galavanting. I keep a lot of random things in my bag at any given time. Sometimes things stick around for a while, and other times my staples are ever-changing. 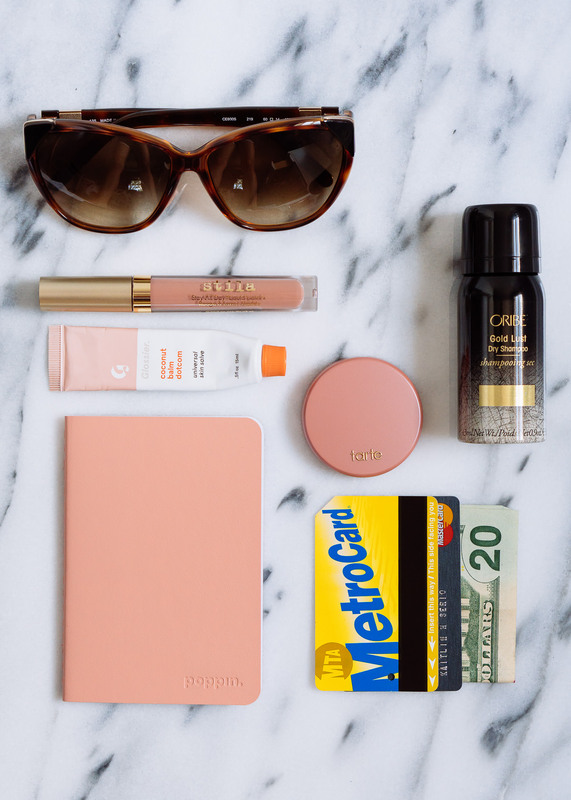 Lately, if you took a peek inside my bag on any given day, you'd for sure find these current staples. 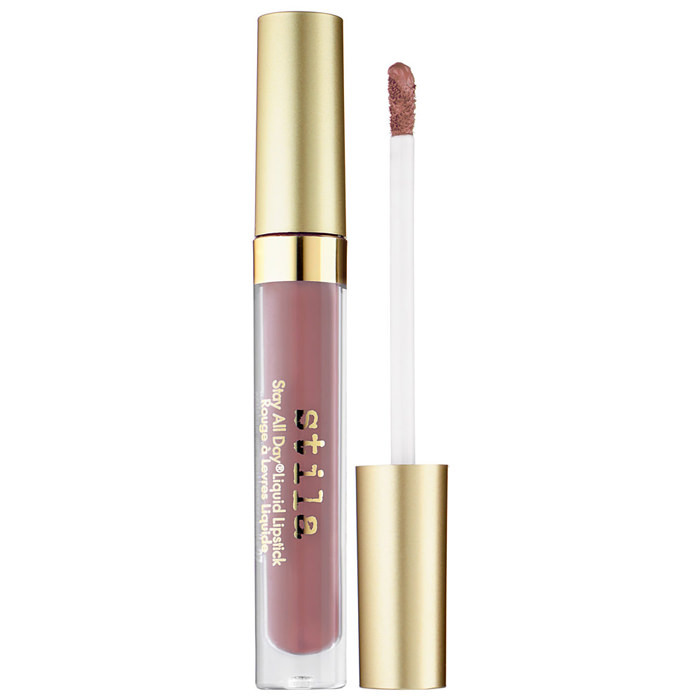 You can almost always find Stila Liquid Lipstick in my bag these days. Day or night, these lipsticks last. 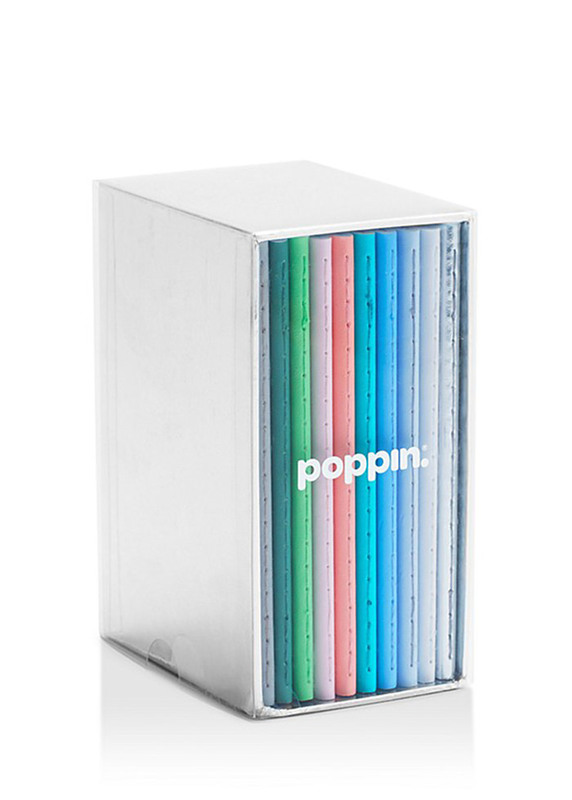 Available in every shade you can imagine, I'm starting to collect these in all of my favorite colors! I'm obsessed with how beautiful and eye-catching these lipsticks are, yet they dry completely matte. If you've ever tried to survive summer in NYC with long hair, then you know where I'm going with this one! My friends know me well enough to know the minute I put my hair up, I'm done. Really, I hate the feeling of sticky hair on my neck, and this helps liven things up after I've cooled down inside for a bit. 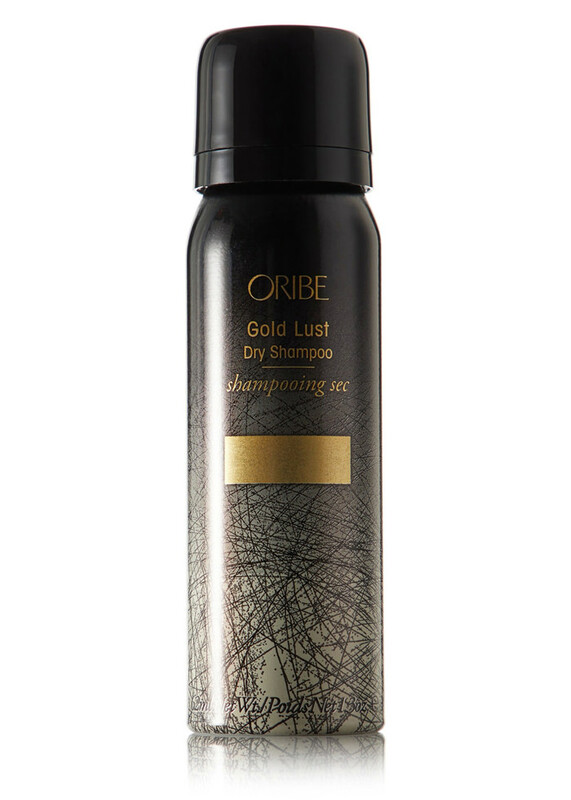 I spray a little on the underside of my hair and it freshens me right up. Not only does it smell really good, but it also adds back in some volume if you use it on your roots too. One of my best friends gave me this as part of my Christmas gift, and it's been a staple in my bag ever since. This is the one thing that came and never left! It makes my lips incredibly soft, and I think I reach for it about 6 times a day. The best part is its many uses, so if I put it on my lips and have a little leftover I just rub it on somewhere else. Dry knuckles, prickly cuticles—you name it, this stuff cures it all. I got a miniature version of this blush as my birthday reward for being a Sephora VIB and I am HOOKED! I'll for sure be stocking up on the full-sized version once I'm done with this mini one, although I'll miss the mini-size for my purse once it's done. 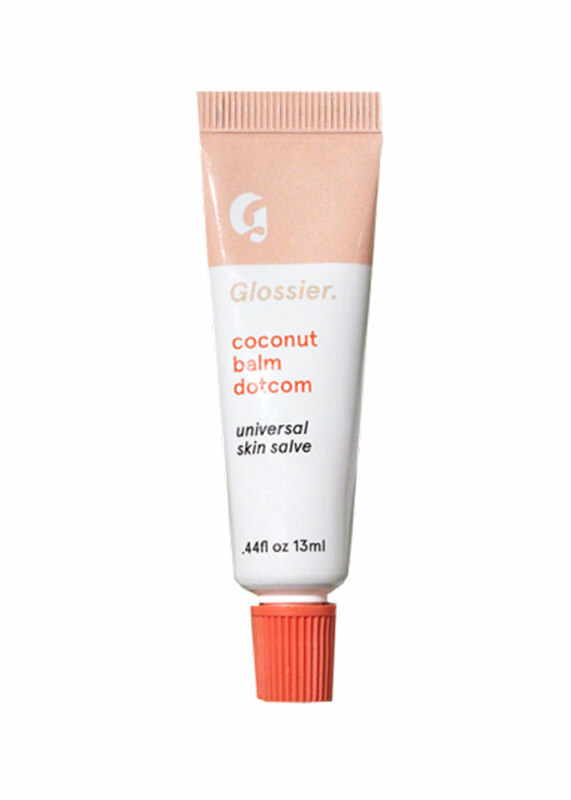 I have this in 'Paaarty,' and it's a classic pink blush tone. I typically prefer a peachy blush, so I'll definitely try that next. 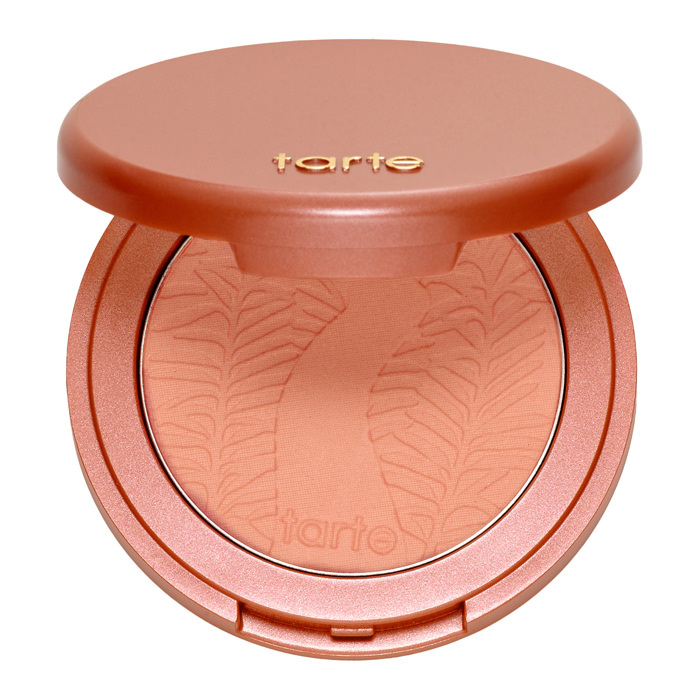 Regardless of the tone, this blush goes on smooth, blends nicely and lasts long. A notebook is a year-round staple for me. In the days of smartphones, iPads, and smartwatches it's easy to never have a pen or a notebook handy, but I am one of those weirdos that loves writing things down. I basically always have a notebook on me, and in the rare case that I forget one, I'll jot a note in my iPhone only to transfer it onto paper when I get home. There's just something about jotting things down and checking things off my list that I love. 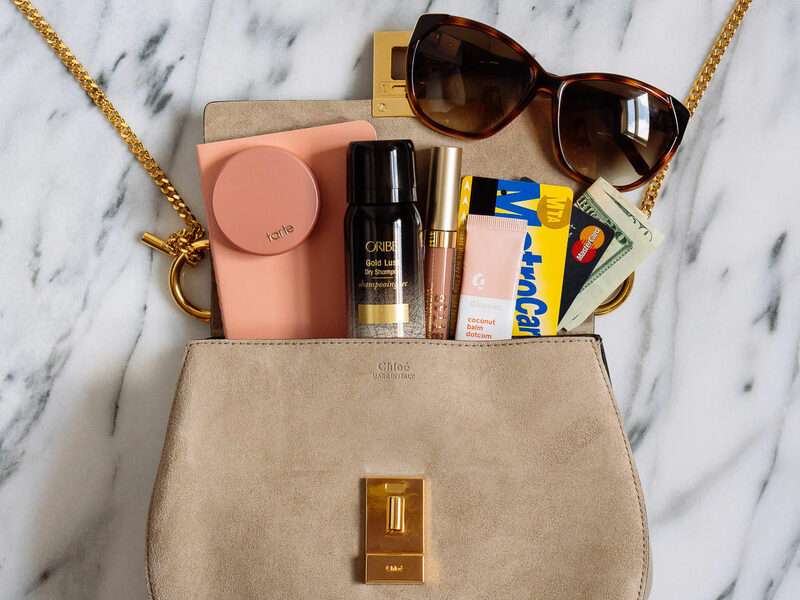 The small Chloé Drew bag that I carried perfectly held all of my summer essentials, and I'm reminded yet again what a great bag it is both in aesthetics and functionality. 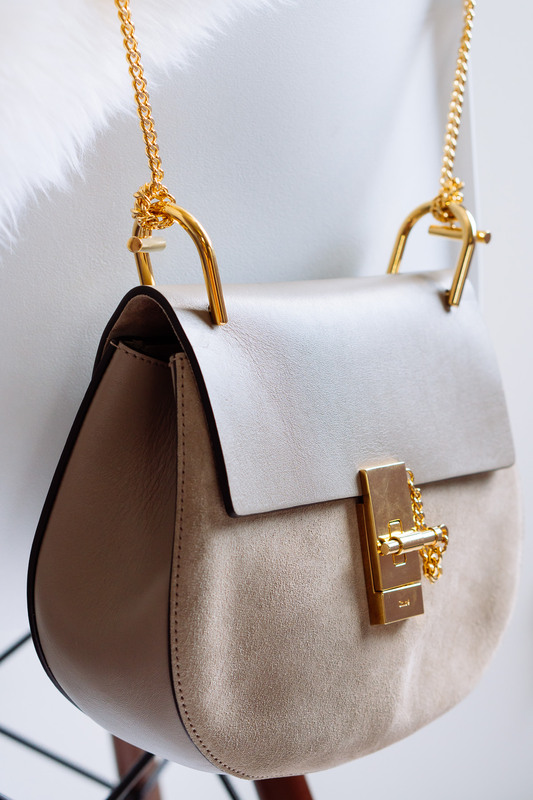 The gold hardware is stunning, and the bag can easily be worn crossbody or over the shoulder. 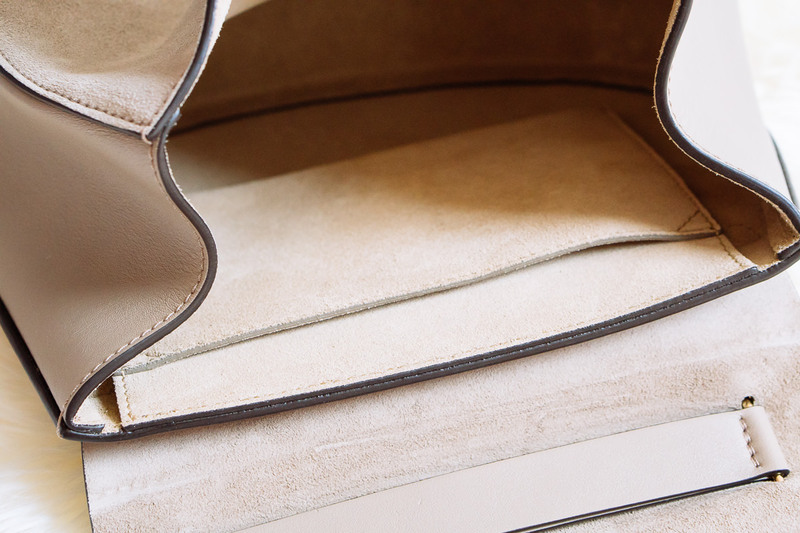 The bag has one interior slit pocket, making it easy to go sans wallet or card case! I stuck my metro card, credit card and a twenty in there and I was good to go. 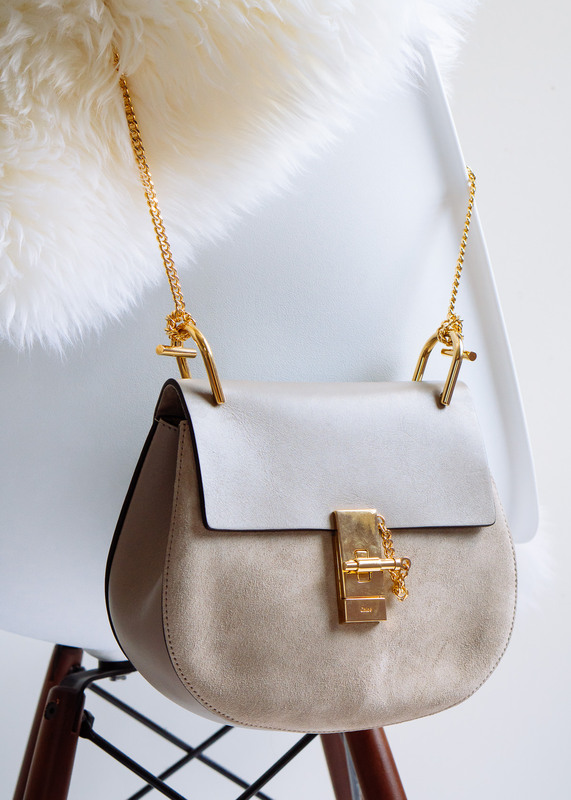 Overall dimensions are 9"W X 8"H X 2.5"D. Retail for this particular Drew is $1,950 via Matches Fashion, but you can also shop the full range of Chloé Drew bags via Net-a-Porter.